As your baby grows, you want to teach them to be independent. Personalized KidKraft step stools for toddlers are the perfect way to do so. These kid friendly step stools are designed with keeping the little ones in mind – to help them reach countertops or shelves without any help. The step stools are sturdy, made of wood and easy to clean. The stools are hard to tip over due to its low center of gravity; which means you do not have to worry about your child falling down while using these stools. They are available in a variety of colors that is sure to match the décor and brighten up any child’s room; additionally each stool comes with the option to have a monogrammed name in 3 different fonts and 5 different colors. These custom name step stools make great gifts for your children. 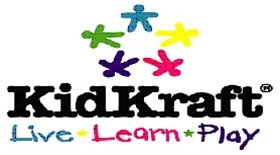 Looking for personalized KidKraft step stools? Look no further; Tiny Keepsakes has the “Step ‘N Store” and many more choices of custom name step stools for kids such as puzzle step stools, two step stools, and flip stools. Along with stools, Tiny Keepsakes offers a wonderful selection of custom baby blankets, monogrammed lunch boxes and other personalized gifts so any loved one can add that special touch to each gift. At Tiny Keepsakes, customer service is our #1 goal and thus we showcase only the highest quality kid products and boast incredible sales. For new customers, receive a 5% discount with the promo code STEP at checkout; plus, you can sign up for our customer loyalty discount program to get additional savings in the future. If you have any questions, call us toll-free at 888.320.3080 or email us at customerservice@tinykeepsakes.com and don’t forget to swing on by our Facebook page for the latest mommy tricks and kid-friendly gift-giving tips!